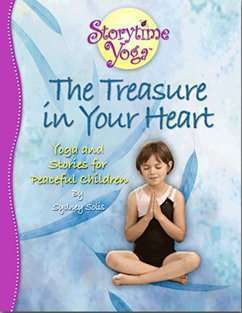 Browse our collection of Kids Yoga books from Storytime Yoga! Parents, educate your child with story. Learn to start a Family Yoga and Storytelling Hour at home and tell multicultural folk tales to go with yoga in this classic guide for teachers and parents. Nominated for the 2007 Anne Izard Storytellers’ Choice Award! This classic teaching yoga to children’s guide by renowned storyteller and yoga teacher Sydney Solis has been an Amazon Kids Yoga bestseller since 2006, influencing a generation of kids yoga and story enthusiasts. 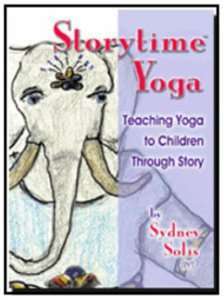 It gathers the innovative exercises, songs and most of all stories that make up Storytime Yoga®. 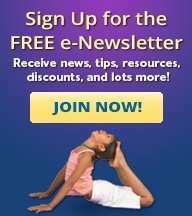 Storytime Yoga seeks to enlighten young minds with the magic of yoga while recounting some of the world’s most delightful, instructive stories in a way that encourages literacy and vibrant physical health. Designed for parents, teachers and anyone interested in working with kids from Pre-K through 6th grade, it is packed with inspired and yet practical information. Here you’ll find classical Hatha yoga poses used as gestural illustrations of a serious of specially rewritten “teaching stores,” about the importance of love, generosity, peace and friendship. There are captivating tales ranging from the Rabbit in the Moon (India) to the Magic Pear Tree (China) and the Shipwrecked Sailor (Egypt) along with many more. The product of hundreds of hours of in-class work by Solis, Storytime Yoga is a worthy addition to the library of anyone interested in bringing the radiant health of yoga and storytelling to the youth of the world. It features such gems as “Mohammad and the Cat” (about kindness), “Brahma’s Tears” (about unity), “Calming the Storm” (about courage), and “Conejito and the Wax Doll” (about anger management). Plus, there are many stories from African, Buddhist, Jewish, and Sufi traditions as well. This book also focuses on meditation and relaxation – for children to improve health and literacy – and features follow-up activities and the classic Storytime Yoga® method of including yoga poses scripted with the stories!